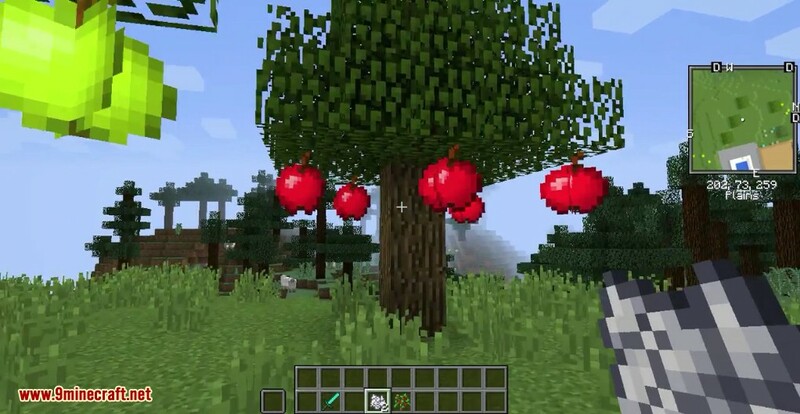 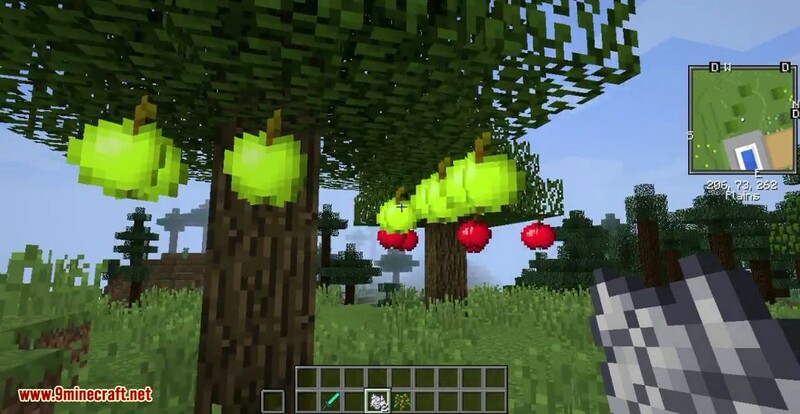 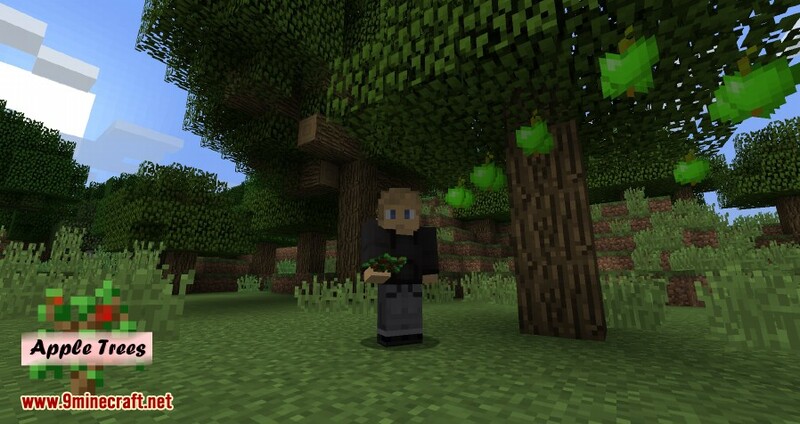 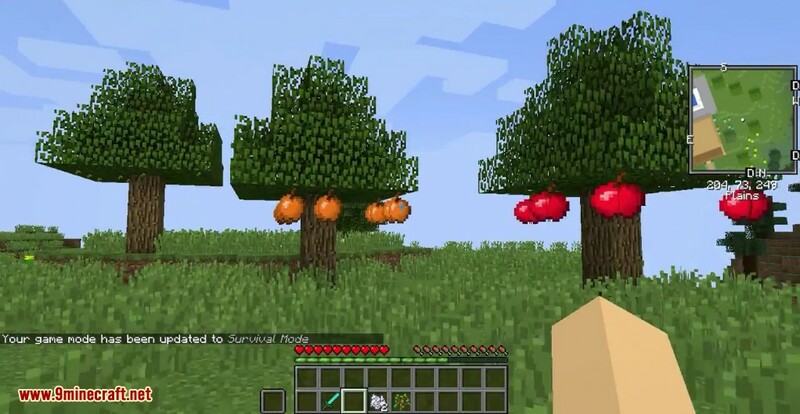 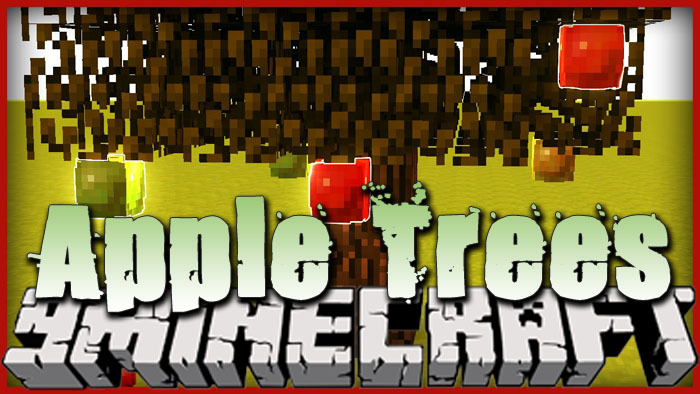 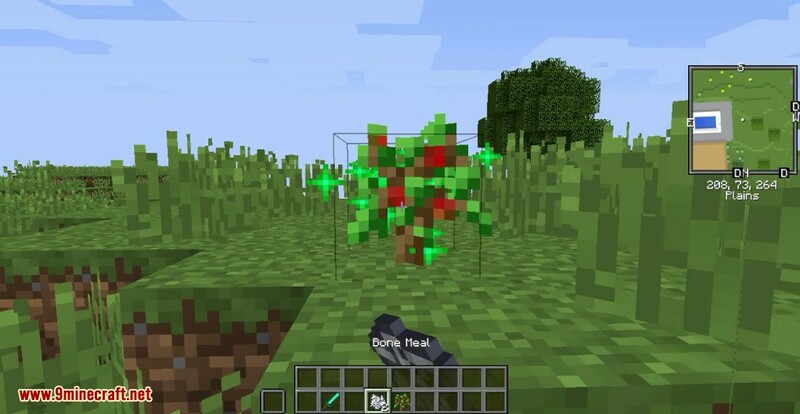 Apple Trees Mod 1.11.2/1.10.2 adds a apple trees that grow real apples you can harvest. 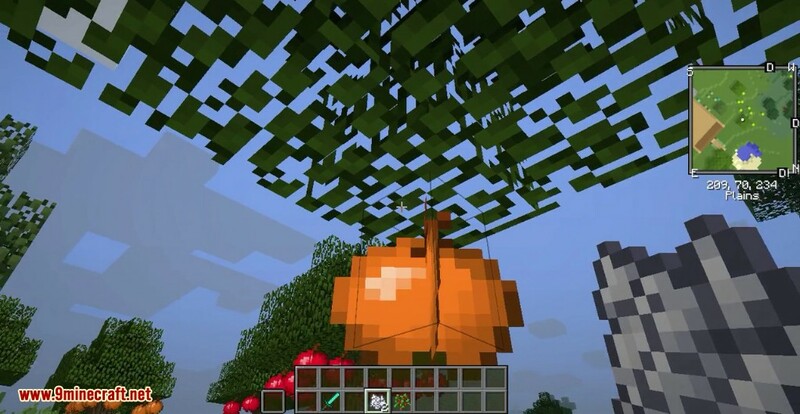 To get an apple tree sapling, you need to craft an oak sapling together with an apple. 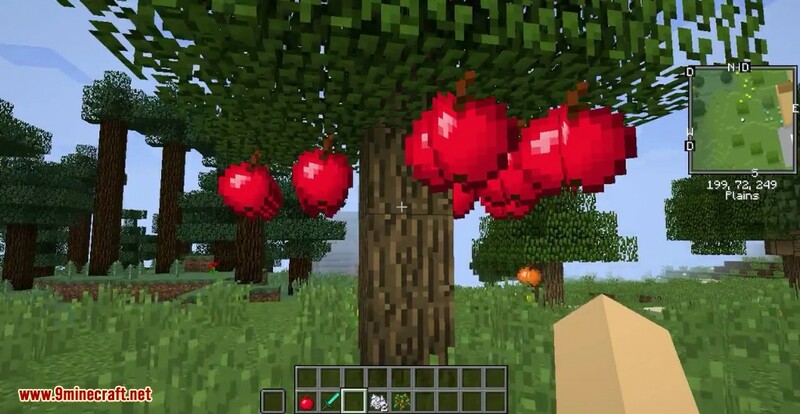 This is a simple mod to gain the ability to grow and harvest apples, quickly and easily. 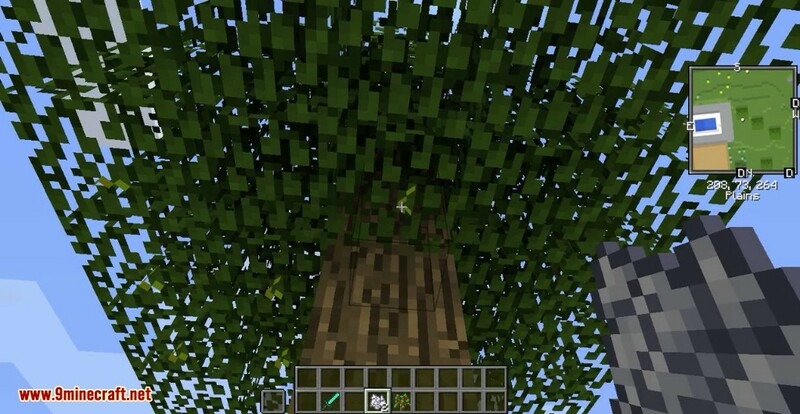 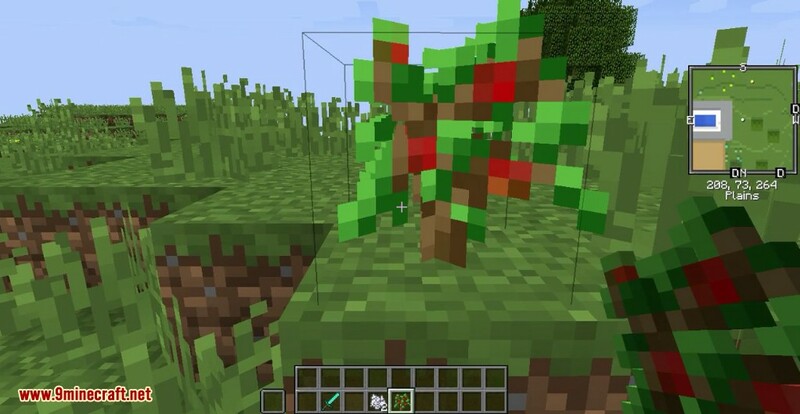 All you need to do is combine a sapling with an apple and you’ll have no trouble farming apple trees in no time. 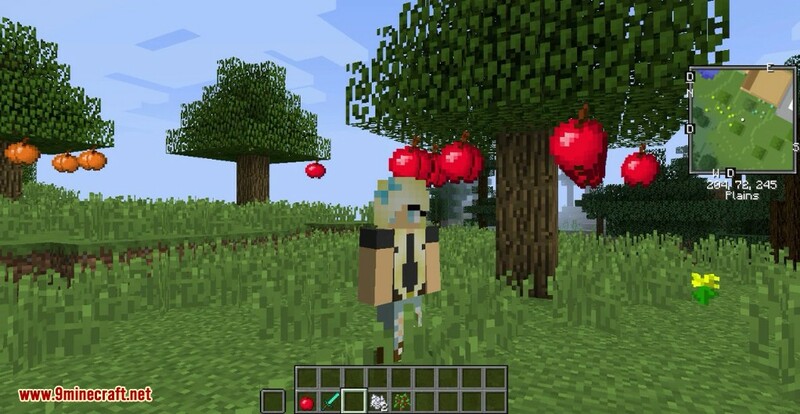 The apples will take some time to grow but when they do, you’ll know by how gigantic the fruit has become. 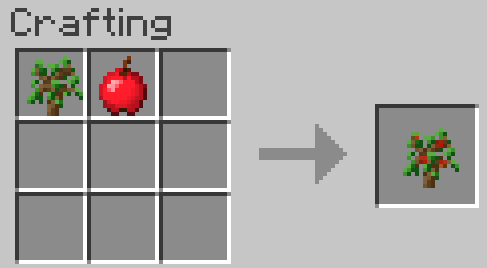 The apples will grow with bonemeal so you won’t have to wait too long for a fresh bushel if you happen to have some lying around.